Compression Arm Sleeves for Men & Women are designed to provide support for the muscles and tendons in the forearm, elbow and bicep while promote increased circulation, reduced muscle fatigue, damage and injury. The compression of 20 – 30 mmHg is applied gradually from the wrist to the upper arm to protect against swelling, muscle vibration, pain and minimize soreness. Our sleeves do not restrict mobility. Graduated Compression Arm Sleeves can be used during physical activities or sports like running, basketball, biking, softball, cycling, triathlon, tennis, golf, etc. or fitness, recreation and healthcare. They offer superior fit due to their seamless design, circular knit construction that ensures comfort and full benefits for the entire arm. Graduated compression means a controlled amount of pressure which is greatest at the wrist and gradually decreases around the upper arm. It helps reduce pain or discomfort caused by sprains, tendonitis, dislocations and arthritis. Our Arm Sleeves with graduated compression also can help in treating tennis elbow, golfers elbow, post elbow arthroscopy or chronic swelling in the comfort of your home. Graduated Compression Arm Sleeves for Arthritis sufferers alleviate the pain caused by joints movement. These Arm Sleeves can be worn under the garment as a thermal base layer to keep the tendons flexible as well as the joints. Individuals with circulatory problems such as Raynaud’s syndrome may also benefit from the use of compression arm sleeves during or after physical activities or sports. Graduated compression delivers more oxygen-rich blood for muscles. Graduated Compression Arm Sleeves can be worn as a shapewear to reduce arm cellulite and water retention by activating the microcirculation. Consistent use helps reduce the appearance of flabby arms. To find out your best fit of Veturo Compr ession Arm Sleeves for Men and Women, use a flexible measuring tape and wrap it around your wrist, elbow and upper arm. Use the chart to determine if your arm sleeve is size S, M, L, or XL. A high quality, breathable compression fabric made of Nylon 75%, Lycra 25% draws sweat away from your skin and help keep you dry and comfortable during physical activities or exercises. 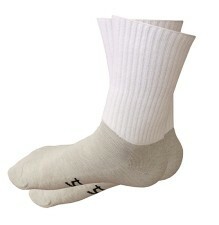 20-30 mmHg is a medium compression recommended for reducing swelling and increasing circulation. Latex free product. Hand wash or machine washer – cold water, gentle cycle, and mild detergent does not contain bleach. You may tumble-dry low or lay flat to dry (recommended). DO NOT use fabric softeners, DO NOT dry clean, DO NOT iron or DO NOT bleach – Bleach will break down the fibers of your garment and shorten its useful life. Graduated Compression Arm Sleeves for Men & Women can be used as stylish shape-wear for a silhouette smoothing effect.